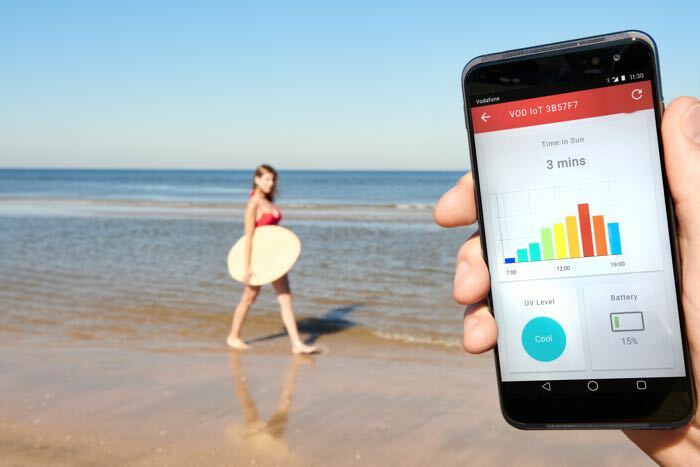 Vodafone has shown off a number of new concept devices designed for the summer, one of those is the new Vodafone Smart Swimwear. The Vodafone Smart Swimwear include a bikini and men’s swim shorts that have built in UV sensors. These sensor then connect to an app and let you know how much exposure you have had to UV light. The company has also invented a smart sun hat for kids that comes with a built in tracker that will alert you if they have wandered off. The Vodafone ‘Smart Summer’ bikini and men’s swim shorts are equipped with UV sensors that track exposure to sunlight throughout the day. A smartphone app notifies the user when they have had too much exposure to UV light. The swimwear also contains a small vibrating alert built into the waistband and strap. The concept ‘Smart Summer’ child’s sun hat contains a UV sensor plus a low-powered Vodafone SIM and tracking device which sends a warning message to the parent’s smartphone if the child wanders beyond a pre-determined distance. The concept ‘Smart Summer’ suitcase includes embedded tracking technology to enable the owner to geolocate missing luggage via their smartphone. 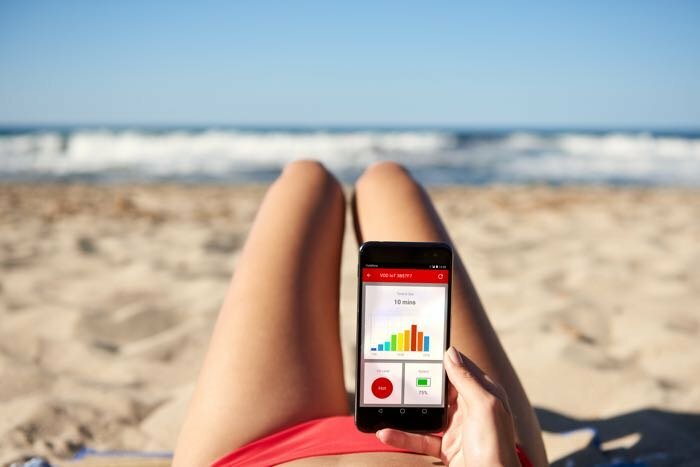 The ‘Smart Summer’ concept designs were developed as a pan-European survey commissioned by Vodafone from YouGov found that nearly half (48%) of respondents forgot to apply sunscreen on holiday with three-quarters (76%) saying they would be more likely to cover up if they had received an automated alert. 30% of respondents also said themselves or a travel companion had lost luggage while traveling. You can find out more details about these clever concepts from Vodafone over at their website at the link below.